The critical problem — the only one you can control — is having the right kind of hiring process. The right process taps into a sufficient pool of talent and efficiently moves candidates toward hire. If you asked employers why they can’t fill jobs, over a third will tell you they’re not getting enough applicants, or they’re getting no applicants at all. Yet, only 10 percent of these employers use untapped talent pools. There are eight streams of talent (see my image above). Each stream provides access to unique people. 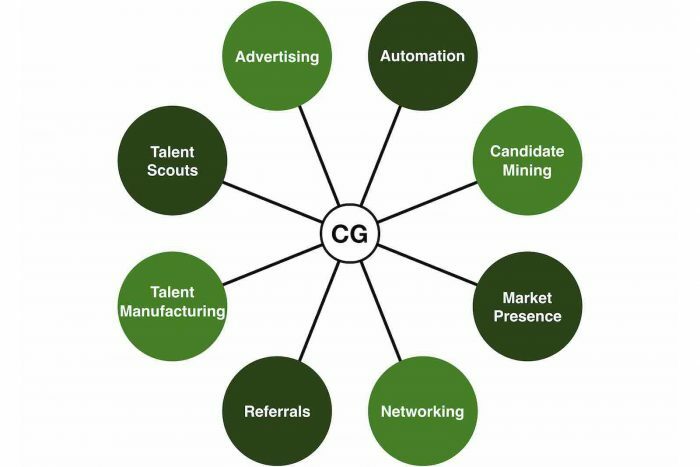 Compare these streams to how your company acquires candidates. Every talent stream should be producing candidates, some of whom become quality hires. Those that don’t are underused or overlooked. Take time to evaluate the speed and accuracy of your interviewing methods by reviewing each step of the process, evaluating the effectiveness of techniques used by interviewers. Maintaining a pipeline of ready-to-hire prospective employees eliminates the dance. When jobs open, there’s no rush, panic, or chaos. Instead, hire from your overflowing pipeline. Assess your organization’s pipelining strategies. Starting with the most critical roles in your organization, answer these questions. Speed is no longer a competitive advantage; it’s now a requirement for doing business and hiring quality employees. The importance of having talented people exactly when they’re needed makes fast and accurate hiring a strategic imperative.